Issue 1 v Notts County (1996/97 County Cup Final), 4/8/98. Issue 2 v Feyenoord (Holland, pre-season friendly), 10/8/98. Issue 3 v Coventry City, 22/8/98. 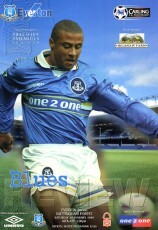 Issue 4 v Everton, 8/9/98. 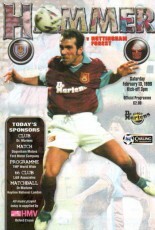 Issue 5 v West Ham United, 19/9/98. Issue 6 v Leyton Orient (Worthington Cup 2-2), 22/9/98. Issue 7 v Charlton Athletic, 3/11/98. 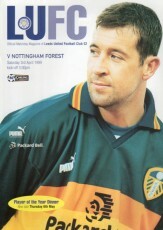 Issue 8 v Leeds United, 17/11/98. Issue 9 v Cambridge United (Worthington Cup 3), 27/11/98. 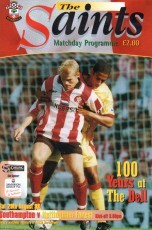 Issue 10 v Wimbledon, 7/11/98. 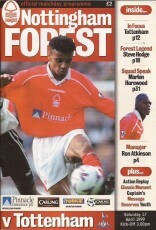 Issue 11 v Derby County, 16/11/98. 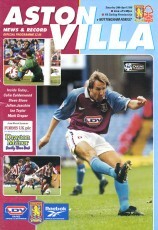 Issue 12 v Aston Villa, 28/11/98. Issue 13 v Blackburn Rovers, 19/12/98. Issue 14 v Southampton, 28/12/98. Issue 15 v Portsmouth (FA Cup 3), 2/1/99. Issue 16 v Arsenal, 16/1/99. Issue 17 v Manchester United, 6/2/99. Issue 18 v Chelsea, 20/2/99. 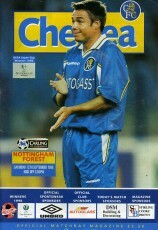 Issue 19 v Newcastle United, 10/3/99. 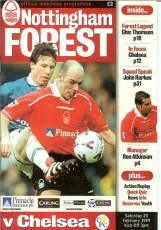 Issue 20 v Middlesbrough, 20/3/99. - v Leicester City (Steve Chettle Testimonial), 23/3/99. 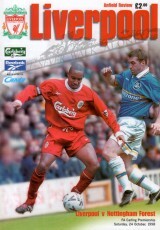 Issue 21 v Liverpool, 5/4/99. 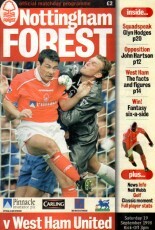 Issue 22 v Tottenham Hotspur, 17/4/99. 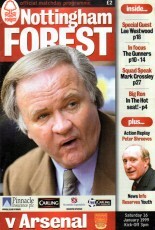 Issue 23 v Sheffield Wednesday, 1/5/99. 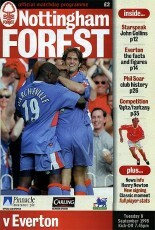 Issue 24 v Leicester City, 16/5/99. (1) v Scunthorpe United (Pre-season friendly), 18/7/98. 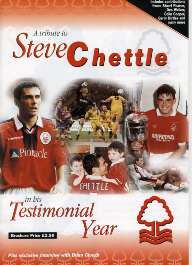 (2) v Chesterfield (A Morris Testimonial), 22/7/98. (3) v Kings SC (Finland, pre-season friendly), 28/7/98. (4) v FC Haka (Finland, pre-season friendly), 30/7/98. (5) v FC Santa Claus (Finland, pre-season friendly), 1/8/98. (6) v Lincoln City (Pre-season friendly), 3/8/98. (10) v Leyton Orient (Worthington Cup 2,1), 15/9/98. (11) v Newcastle United, 26/9/98. 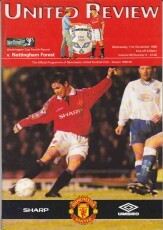 (16) v Manchester United (Worthington Cup 4), 11/11/98. (17) v Tottenham Hotspur, 28/11/98. 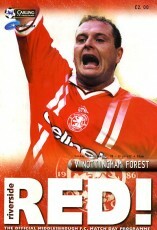 (18) v Sheffield Wednesday, 7/12/98. (19) v Leicester City, 12/12/98. (20) v Manchester United, 26/12/98. (21) v Coventry City, 9/1/99. (23) v West Ham United, 13/2/99. (24) v Charlton Athletic, 27/2/99. (26) v Leeds United, 3/4/99. (27) v Derby County, 10/4/99. (28) v Aston Villa, 24/4/99. (29) v Blackburn Rovers, 8/5/99.